Captain Starshot is a Sci-Fi roguelike where you fly through space, board ships and blast evil aliens as you make your way to their mothership to kill their leader. 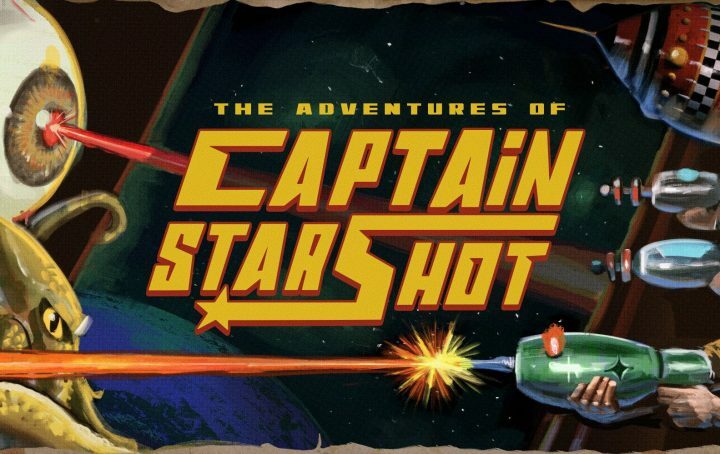 In Captain Starshot you’ll take control of the titular character as you roam the galaxy in your spaceship, hunting down enemy spaceships and engaging them in combat. As well as ship to ship space battles, you can also be able to send a small crew to board enemy spaceships where you’ll control them as they make their way through the ship’s interior, blasting aliens, battling bosses and earning upgrades. Your eventual goal is to become powerful enough to defeat the ruler of the aliens to eliminate their threat from the galaxy once and for all. Captain Starshot is still very early in development but the mixture of space exploration and ship boarding dungeon crawling looks like fun and its pulp sci-fi visual style adds a lot of character. Sign up now to be one of the first to join Captain Starshot on his roguelike alien blasting adventures!